A bad cough is especially painful if you've got an extremely long neck. 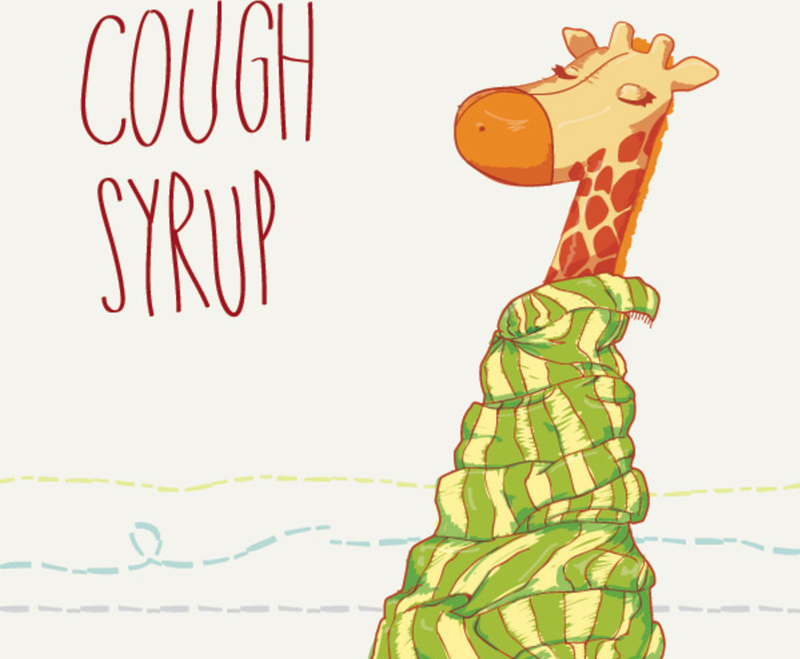 This graphic features a fairly detailed drawing of a giraffe with a long scarf, which soothes its apparently sore throat. Casual text appears on the side and dashes run across the bottom of the image, crossing over the scarf. The giraffe's eyes are closed, and it seems relieved. There's plenty of texture and detail to keep the viewer's eye moving across the page. This image seems hand drawn, and it uses a funny, cute character for a great finished effect. It's particularly useful for addressing younger children and their parents.